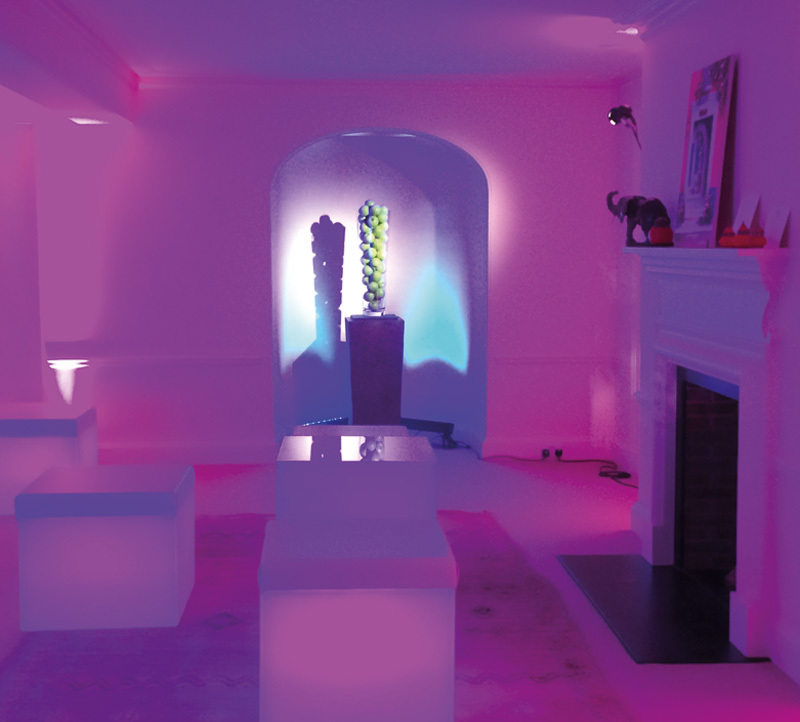 APS delivered the desired effect by back-lighting the white lining with individually colour controllable lights creating any shade that was needed. 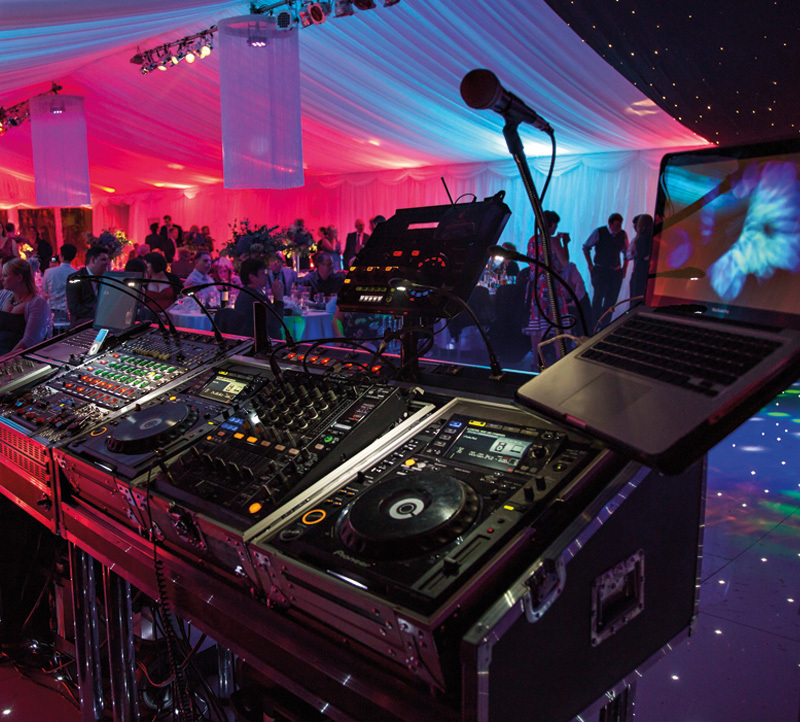 Further control allowed subtle fades between colours for a more dynamic feel, as well as fast and exciting flash, pulse and strobe effects around the dance-floor later when partying. 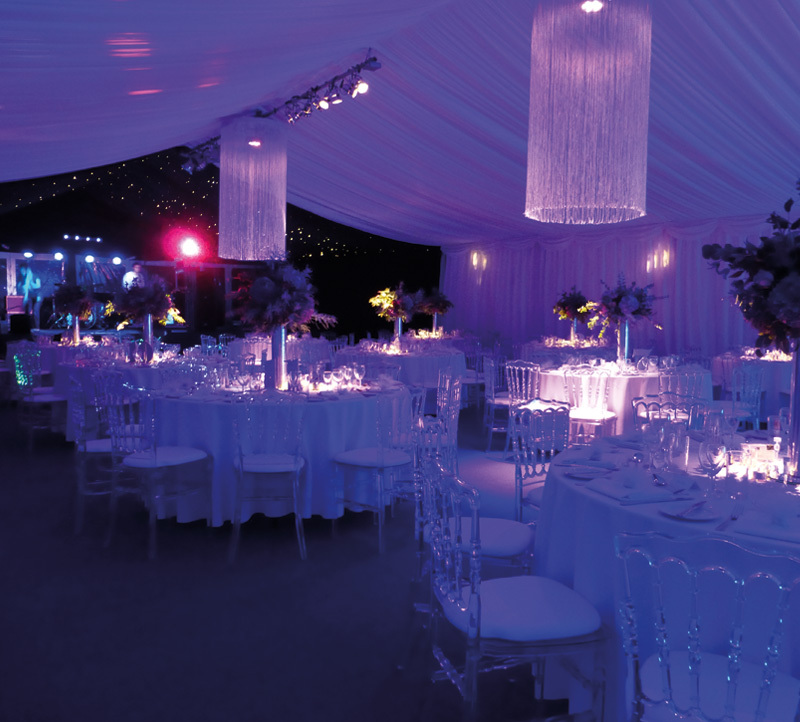 The lighting and effects were very successful and we have been asked to repeat this type of light-design on many occasions which we are very happy to do!